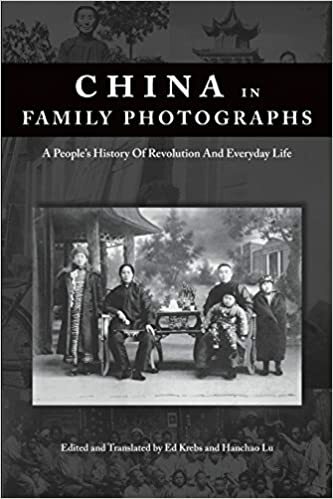 Ed Krebs and Hanchao Lu, eds., China in Family Photographs: A Peoples History of Revolution and Everyday Life, (Bridge 21, USA, 2017). For those of you who don’t know it, 老照片 (Old Photos) is a Chinese magazine the publishes old photos and the stories behind them that readers send in. The magazine has become quite the phenomenon, and the translators have selected some of the best ones that show how ordinary Chinese understood history and their place in it.1 This is a really good teaching resource, since it gives you well-introduced life stories of all sorts of people and things, from women holding up half the sky, tractors and sewing machines, and political campaigns to geologists, engineers, soldiers and taxi drivers. The focus is on everyday life, but of course since politics was in command in most of this period (Some of the essays discuss family history going back to the Late Qing, but none of them go past the 1980s.) Besides a nice collection of topics, the readings themselves are really good. As anyone who has worked with Chinese memoir literature knows, Chinese are really good at placing their lives in historical context. I credit all that self-criticism and political education. The editors do a great job of pointing out things that would not be clear to a foreign reader in their own brief introduction. All I am doing with it this semester is putting one of the readings on the final as a primary source,2 but it would work really well as a reader for a Modern China class. This looks like a really interesting source for 20c China, and gets at one of the things about my own training that bugs me about our profession generally: we stink at visual materials analysis.